From Mickledore, the col between Scafell and Scafell pike, you can look down on upper Wasdale, with Yewbarrow in the background. It’s as steep as it looks. I really like that one! Beautifully composed! 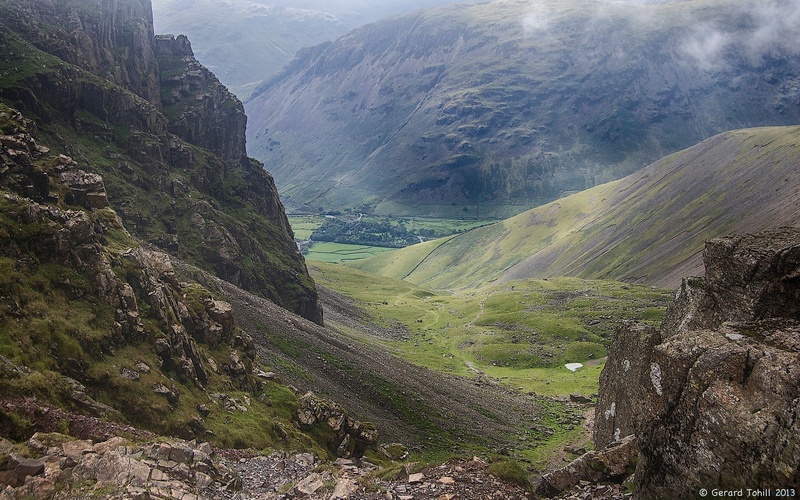 With Scafell rising on the left, and Scafell Pike on the right, they nicely framed the view of Wasdale. Lovely details in this photo.